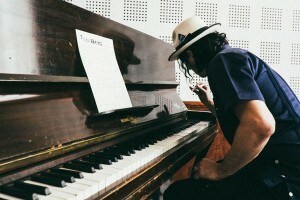 Dear Friends, Barka UK are honoured to be part of an extraordinary initiative : the auction of Jack White’s piano. This is a piano which served the White Stripes to record their ground-breaking album „Elephant”. The funds from the auction are going to support the work of Barka UK in London. Barka UK are most grateful to Jack White and his Team for their amazing support for this project. Barka passes their heartfelt thanks to Ola Ciurlik, a great friend and volunteer who took a lot of effort to initiate and develop this undertaking. The auction of the piano will take place on the 25th of February 2015 online.